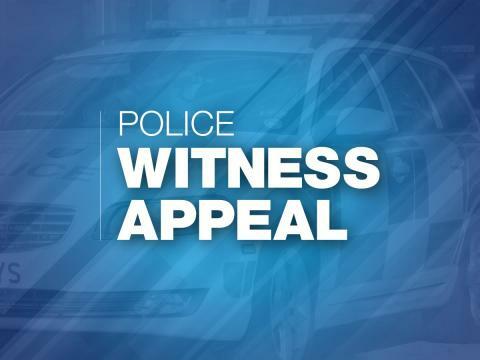 Did you witness a collision in Bursledon at around 9.30pm on Tuesday 9 April? A Volkswagen Golf and a flatbed van collided on the Windhover Roundabout, and the Golf subsequently collided with a tree. The van, described as having a white cab with chevron-like markings on it, did not remain at the scene following the collision and drove off in the direction of Fareham down the A27. It will likely have damage to its offside front bumper and wing mirror as a result of the incident. The Volkswagen driver, a man in his 20s from Fareham, suffered a sprained neck, and the vehicle sustained considerable damage. Officers are keen to speak to the driver of a small red car that was driving behind the flatbed van, as this person may have witnessed the incident and captured something on dashcam. Was this you? Did you capture anything on dashcam between 9.20pm and 9.35pm that could help us? Please call us if you saw something. In addition we would like to hear from anyone who can help us identify the flatbed driver, or who witnessed the incident. Anyone with information is asked to contact police on 101, quoting 44190123346, or call the charity Crimestoppers anonymously on 0800 555 111.